When it comes to mixing drinks, the advice that fresh is best is a great motto to live by. 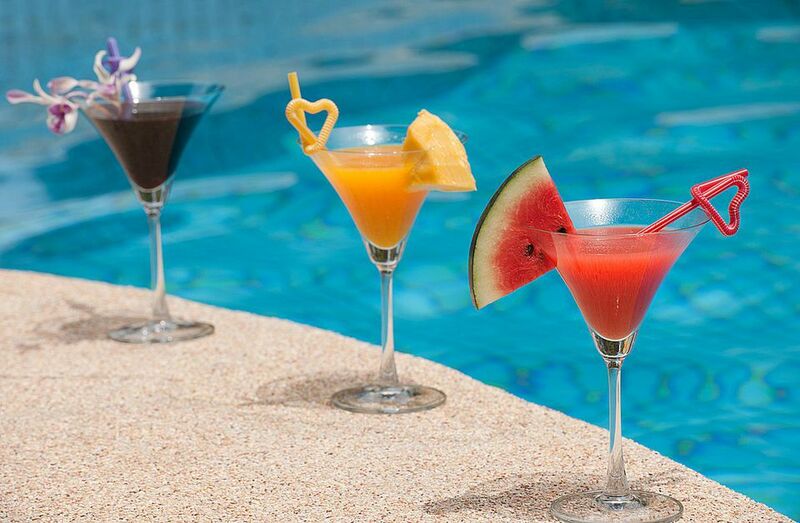 The freshest cocktails, however, come from real fruits and summer is the perfect time take advantage of them. From new twists on the most popular drinks to fun and refreshing fruit punches, these recipes showcase watermelon, berries, peaches, and more to show off the best produce of the season. Strawberry lemonade is a favorite drink for summer. It's cool, refreshing, and filled with delicious fruit flavors. For a fun take on it that is for adults only, mix up the strawberry berryoska. This recipe is incredibly easy. All you need is a great vodka, some sliced strawberries, and fresh-squeezed lemonade. It's fun, fruity, and the ultimate in refreshing summer cocktails. A favorite from the blender, the banana daiquiri is a must for a hot summer day on the patio. It is one of the more popular daiquiri recipes out there and guaranteed to be a hit among anyone you invite over. The mix is an easy one, combining rum, triple sec, lime, sugar, ice, and a fresh banana. When blended properly, the banana daiquiri is cool and refreshing but not overwhelmingly sweet. Summer would not be summer without fresh watermelon and cucumbers. The two come together in one fabulous drink that is sure to delight everyone at your backyard barbecue. The watermelon cucumber cooler is the epitome of fresh fruit cocktails. It begins with fresh-pressed watermelon juice and a muddle of cucumber. To this, the lovely aromatics of Aviation Gin is added along with soda to make it nice and refreshing. There are many fruits that could go into a fruit punch, this recipe just happens to choose one of the best fruits of the summer. While the summertime fruit punch lemonade recipe is written for a single drink, it can easily be converted to fill a pitcher. This punch mixes a smooth vodka with watermelon and sparkling pink lemonade. It adds a little bit of parsley for color and a flavor kick that is both unusual and delightful. Peach season peaks at the height of summer. During this time, the markets are filled with a great variety of these fuzzy fruit and it's a perfect excuse to mix up a peachy drink or two. A great recipe to begin with is the simple white peach julep. A modern take on the classic mint julep, this cocktail adds fresh white peaches and peach liqueur to the bourbon and mint mix. The result is a fantastic drink for barbecues and pool parties. The mojito is a fantastic cocktail and a favorite for the dog days of summer. The original recipe also offers a great foundation to play around with. The pineapple mojito is exactly what it sounds like. The recipe adds both fresh and juiced pineapple to the classic rum, mint, and lime drink. With this tropical twist, it's sure to get you in the mood for some fun in the sun. Irish whiskey may not be your first choice for a summer refreshing cocktail, but it can work if you have the right recipe. What really helps is adding sweet berries to the mix and that's exactly what you'll find in the blackberry malt. This drink mixes a single malt Irish whiskey with fresh blackberries, lime, and syrup, topping it all off with sparkling water. It is refreshing and a great way to enjoy your whiskey all summer long. 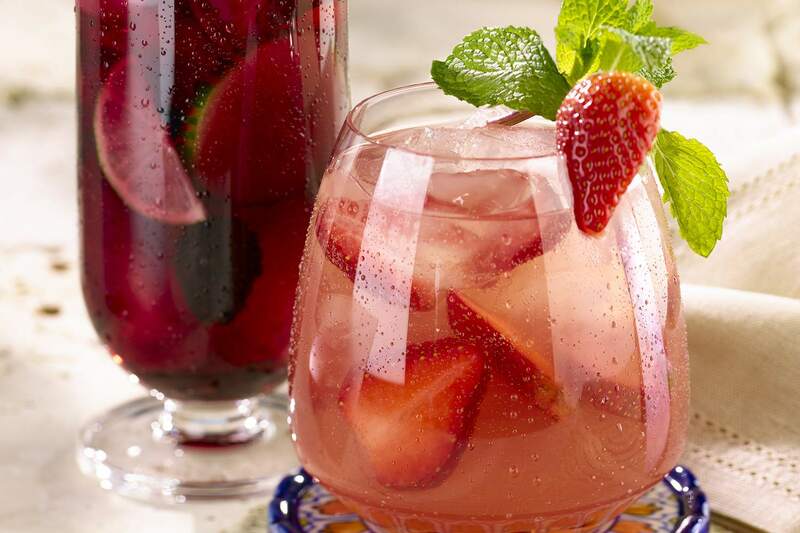 Sangria is one of the fruitiest drinks you can mix up and it's great for a party. There are many ways to approach this favorite wine punch and one of the most interesting is the Brazilian sangria. This recipe includes the typical red wine and brandy found in most sangrias, but it adds cachaca and absinthe to the mix. The taste is truly unique and the best part may be that there are no rules to the fruit. Simply pick up a variety of the best fruits the market has to offer and enjoy! Looking for a fun twist on the popular caipirinha? While that is a fantastic cachaça cocktail, you may not always have fresh limes in stock. If you happen to have a few raspberries, you're good to go! The raspberry caipirinha recipe is quick and simple. Begin with a little lime juice and a handful of fresh raspberries. Muddle those and top it off with a great cachaça. It's the ideal drink when the berries are at their peak. Grab the bourbon because it's time to bring the old-fashioned into summer! A couple of fresh fruits should do the trick and leave you with a fun new drink that's both familiar and novel. Appropriately named the new old-fashioned, this recipe begins with a muddle of fresh peach, bitters, and simple syrup. That mix is topped with a fine bourbon, another peach slice, and a few blackberries. Add sparkling water and a brilliant cocktail is born.